Counter UAV solutions for Military, Federal, and Local Law Enforcement. The Dronebuster is an RF jamming device. The Dronebuster can take this one step further and also overwhelm the GPS signal, which will cause the drone to land or fall out of the sky. 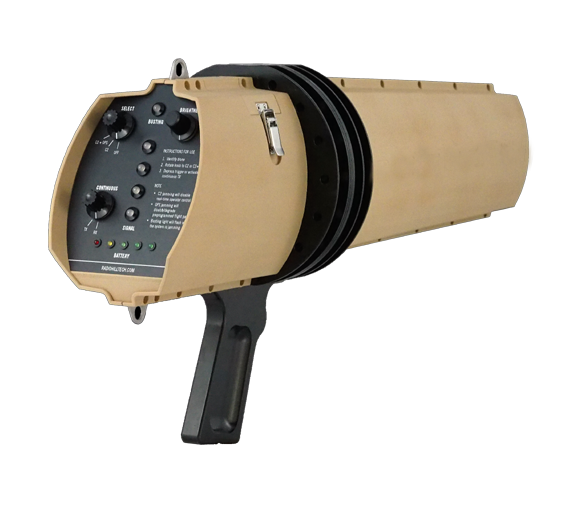 The Dronebuster is a cost effective tool for security teams and first responders to use during fluid, ambiguous, fast-paced encounters. 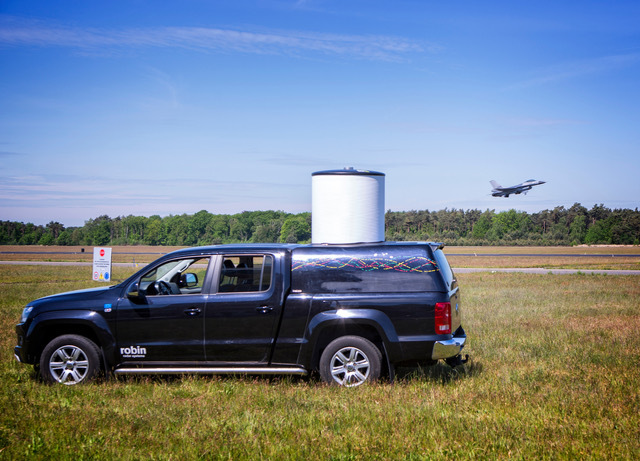 The system allows security teams and law enforcement to efficiently deal with a drone approaching a Forward Operating Base, hovering over a large crowd, snooping into secure/private areas, or flying in restricted airspace. 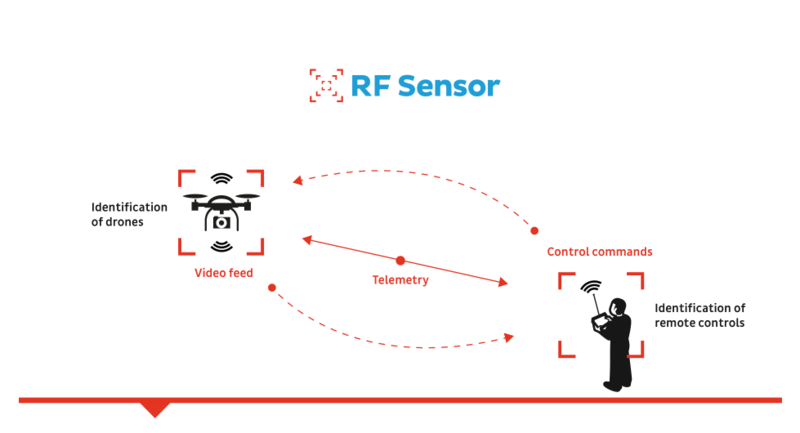 The DroneTracker 2.5 in combination with the RF Sensor is able to detect drones and remote controls by their radio frequency (RF) signatures. We detect all drones connected through RF or WiFi, including the entire DJI product line​. 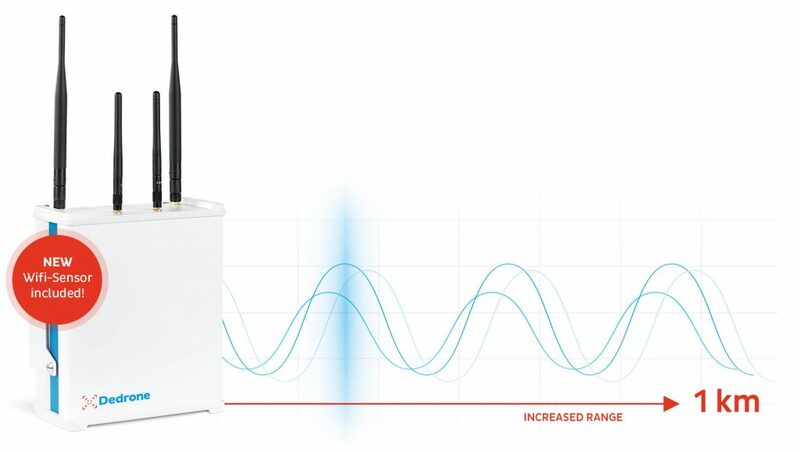 DroneTracker’s RF sensor constantly searches a wide frequency band and classifies and decodes signals, so customers get early warnings — often before drones are even in the air. 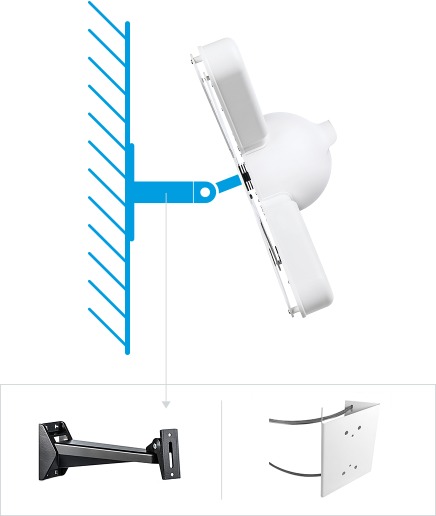 You can mount the DT Multi Sensor permanently to facades or special poles, in order to survey a defined section of the sky 24/7. We have developed DroneTracker Event Kit for the temporary use, for example early drone detection at state visits, public conventions, concerts or sporting events. 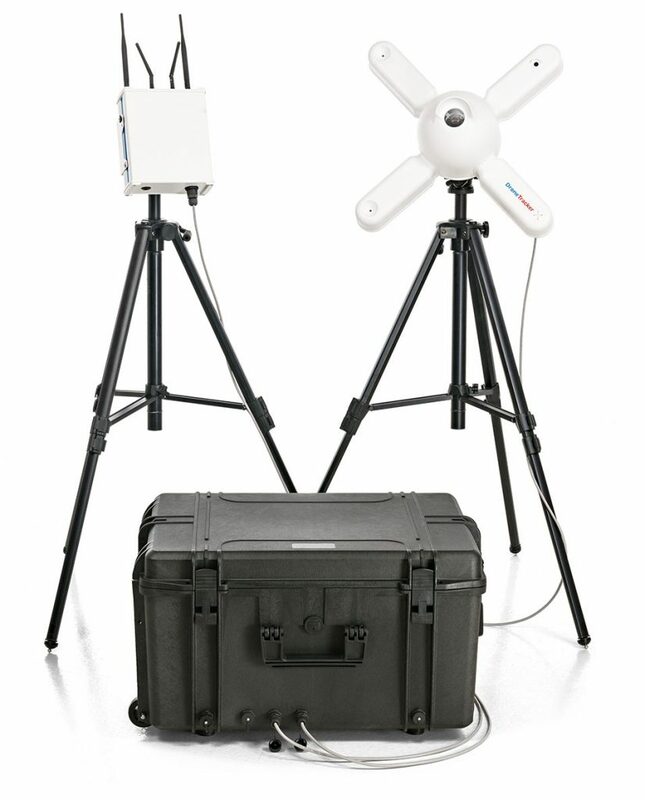 The Event Kit comprises two tripods to which you can flexibly mount your DroneTracker Multi-Sensors or DT RF Sensor and set them up anywhere. Elvira covers a full 360 degrees view. It detects larger fixed wing targets at a range of nine kilometres, and smaller multi-rotor drones detected at up to three kilometres. However, completely securing an area, requires more than just range detection. It requires flexibility and reliability. 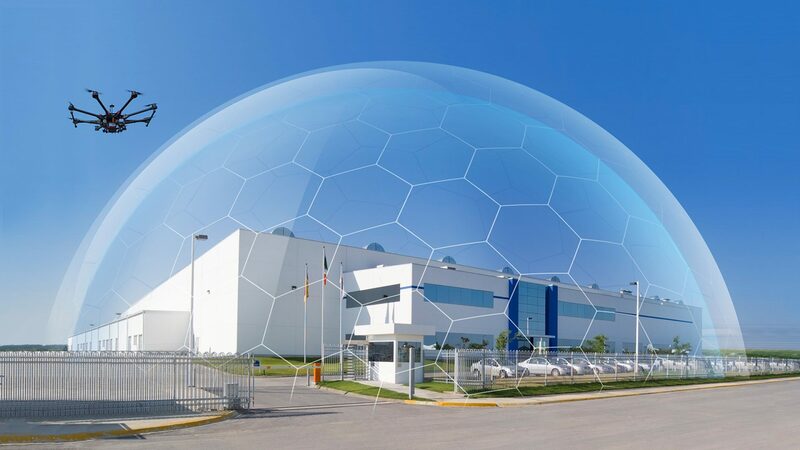 Elvira provides unlimited coverage through its ability to combine multiple radar devices into an integrated sensor network. The output from multiple sensors is incorporated into one unambiguous picture.